We are sad to announce the death of Norman who spent much of his life working tirelessly for the Wythall Community Association, and was its president for over 20 years. He died on 19th August 2017 at the age of 92, still actively working for the future of the Association. Norman started his volunteering with the Association in establishing a children’s playground. He spent many years mowing the Park, maintaining the tractor and mowing equipment, and doing whatever needed doing. His work on grounds maintenance increased in 1986 when the bowling green was opened. He was a stalwart member of the group, which promoted and put on the annual Bonfire Night event. In 1966 he lit the first display of fireworks – but ran out of fireworks after half an hour. A report was sent to members “apologising to people who paid on the gate but saw only the remains of the bonfire”. In the years since this initial event Bonfire Night has become the Association’s biggest fund-raiser. Following his interest in the House & Park Committee he joined the General Committee of the Association, chairing the Management Committee for 12 years, until he took over the position of Secretary in 1982. He took on the role of editor of the Community Newsletter when the previous editor was taken ill in 1986. He has collated the entries submitted by local organisations and Parish Council into the publication and provided introductory editorial material, which is issued twice a year and delivered to nearly all the households in the Parish. He resigned this position in February 2008. After the Charity Commission criticised the original Constitution he worked with the Chairman, Bill Glaze for a couple of years to produce an amended Constitution for the Association that was adopted in April 1998. 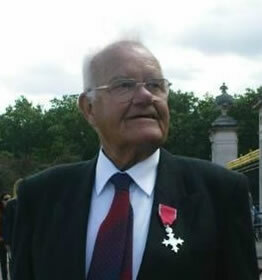 Norman embraced the technology of computerisation – he undertook training, which enabled him to do secretarial work, computerise the membership register of the Association – including producing various reports. When he became a member of the Wythall Community Hall Trust he took on the responsibility of being one of the 5 signatories to the deed of ownership of the property. This was slightly complicated by having 4 plots used by neighbours under licence as their gardens and Norman has been very involved in ensuring the trust property is properly maintained. Norman’s support of the Wythall Community Association has enabled the organisation to establish for the local community a 37 acre park and facilities. The Association had 57 Constituent Groups who use the rooms and facilities at various times. We have 3 football pitches, cricket pitch, 4 tennis courts, crown bowling green, archery range, Gaelic football pitch and dog training field which as controlled by user groups. We have a members club, two function rooms, three meeting rooms and changing facilities. Norman loved the new fitness path which he drove around on his buggy, supervising the construction. House & Park Committee Member 1970 joined the Committee. Chairman About 1972 became Chairman. Secretary Probably 1982 he moved to Secretary. The Committee has now ceased to meet formally but Norman keeps up with weekly discussions of park maintenance matters. Secretary Co-opted September 1982 then voted every year until July 2012. President Elected April 1997 then re-elected annually.